What is commonly known as sleeping sickness is African human trypanosomiasis . Like malaria , it is a tropical disease, more specifically a tsetse-transmitted parasitosis, which occurs exclusively on the African continent. In the absence of treatment, parasites injected into the body by an infected tsetse fly invade the central nervous system, causing sleep and behavioral disturbances and leading to death by meningoencephalitis. Sleeping sickness is present in 36 countries in sub-Saharan Africa, and the vast majority of cases are reported in the Democratic Republic of Congo. However, the epidemic has declined sharply, thanks to joint health programs led by the World Health Organization (WHO) and the countries concerned. The WHO indicates that the number of new cases of African trypanosomiasis reported between 2000 and 2012 fell by nearly three-quarters. The organization’s goal now is to eliminate the disease as a public health problem by 2020. During the first phase, the person suffers from fever and headaches, fatigue and irritability, muscle and joint pain and inflammation of the lymph nodes. In the absence of diagnosis and treatment, the parasite invades the central nervous system. Disorders of sleep and personality appear and the patient may have difficulty speaking and moving around. Meningoencephalitis (inflammation of the meninges and brain) leads to loss of consciousness, coma and death. Symptoms can sometimes appear several months or even years after infection. If the disease is not treated, it causes death in a few months or even weeks. Trypanosoma brucei gambiense , present in West and Central Africa, is responsible for 98% of reported cases of sleeping sickness. 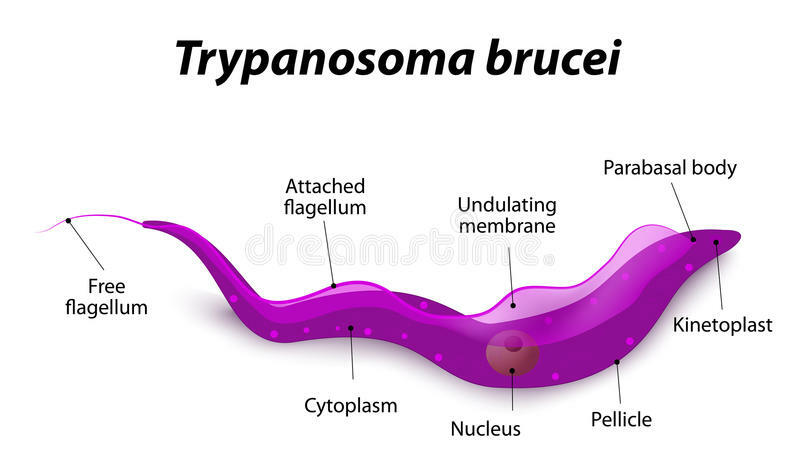 Trypanosoma brucei rhodesiense , found in eastern and southern Africa, mainly in the Great Lakes region, causes a more acute infection, which means that the disease rapidly colonizes the central nervous system. If we observe a decline in sleeping sickness, the World Health Organization estimates that 70 million people are still exposed on the African continent. First and foremost are people living in remote rural areas, who live on agriculture and livestock, who are more likely to be stung by the tsetse fly. It should be noted that sting transmission of infected tsetse fly is largely predominant, but is not the only one possible: cases of mother-to-child transmission during pregnancy and through sexual contact have been reported. Public health programs focus on controlling the presence of the tsetse fly and expanding testing opportunities to hard-to-reach populations. The chances of recovery are even higher when the diagnosis is early and the first phase of the disease is relatively simple to treat (using Pentamidine and Suramine). In contrast, treatments are much more complicated, random and expensive once the central nervous system is affected. An arsenic derivative (Melarsoprol) is used, resulting in 5% of deaths from encephalopathy. Other recently developed treatments (combining Eflornithine and Nifurtimox) are effective but complex.